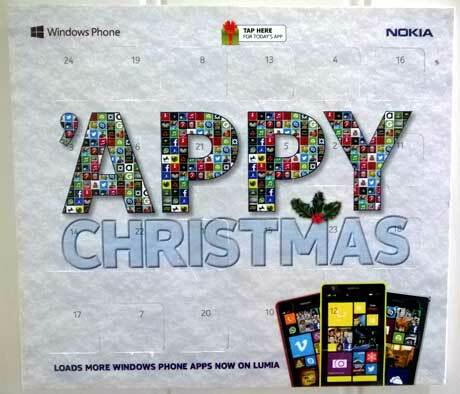 Nokia and NFC marketing specialist Wooshping have teamed up to put 1,500 NFC-enabled advent calendars in mobile phone stores across the UK. The ‘appvent’ calendars offer a different app, as well as the traditional chocolate treat, each day in the run up to Christmas. Nokia will be using Wooshping’s Instant platform to change which app Windows Phone 8 users will receive when they tap the calendar on a particular day. “This is a really innovative and successful concept that will bring some Christmas cheer to mobile customers and staff up and down the country,” says Carly Wyatt, Nokia UK’s apps marketing manager.